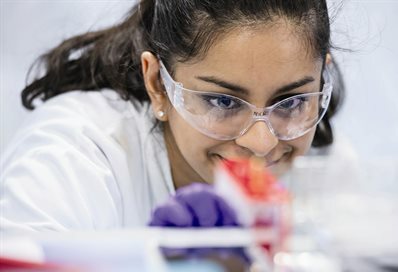 The Centre for Stress and Age-Related Disease comprises internationally recognised researchers that work on multidisciplinary projects at the biology-chemistry interface, to understand the role played by stress in the initiation and progression of age-related disease and to improve health and wellbeing in older people. The centre is unique in the UK; it has scientific expertise in examining the impact that a range of stressors (psychological, xenobiotic, oxidative and mechanical) have on the initiation and progression of age-related disease. Research takes advantage of the multi- and inter-disciplinary academic staff, with much of our research being conducted at the biology/chemistry interface, generating novel datasets and attracting significant funding. A multidisciplinary approach allows us to not only understand the involvement of a range of stressors in disease initiation and progression but also allows us to develop novel ways of diagnosing and preventing disease. Our members collaborate locally, nationally and internationally with other academic institutions, charities, hospitals and businesses. Our work focuses on three main areas of research: Chemical Biology, Cell Biology and Translational Science.